For years, I had drawn comfort from the simple act of being able to plan ahead for a stressful future life event, and I quickly figured out that the ability to mentally walk through an uncomfortable situation was a major stress reliever. I remember the first time I heard about mental practice as a method of preparing for surgery. Studies demonstrating that the simple act of visualization ahead of a planned operation could improve performance seemed so practical and logical to me. Like many surgical residents before me, I have plenty of trepidation about my future career. What kind of practice will I have? Will I get funding for research? Will I be able to find that perfect balance of personal and professional responsibilities? Who should a young surgeon turn to when she’s trying to plan out her next steps and transition to the next stage of a surgical career? A young, successful attending who still remembers what it’s like to navigate that path is the perfect person for a surgical trainee to turn towards for this advice. Trying to visualize and map out the next steps of an academic surgical career starts with talking to someone who has done it before. Dr. Sook Hoang is in her second year as an attending at the University of Virginia. 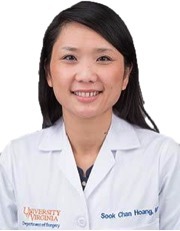 After having completed her general surgery training (University of Massachusetts) and fellowship training in colon and rectal surgery (Brown University), Dr. Hoang and her family migrated southward to start their lives and her surgical career in Charlottesville, Virginia. I sat down with Dr. Hoang to chat about transitioning from residency to fellowship to assistant professor status. With Dr. Hoang’s permission, some responses have been edited for brevity/space. Q: How has being young or female impacted your transition into practice? A: For any young surgeon, male or female, you have to remember, you’re not only being judged by your personality. You’re under a microscope and you have to remember how you portray yourself is extremely important. I sometimes felt like I had to look a certain way, but at the end of the day what mattered the most was establishing trust with the patient. You can become prone to internal feelings of inadequacy (imposter syndrome). Sometimes I think “you actually trust me?” But patients do and that gets easier with time and experience. Q: What’s been the toughest part of your first year of practice? A: Complications are beyond your control sometimes. How you deal with them is what matters the most. Ultimately as an attending you are responsible for everything that happens in and outside the operating room. One of the absolute hardest things was dealing with your first few complications. The feeling of being completely responsible for someone else’s well-being can be overwhelming as a new attending. Feelings of helplessness or lost sleep can really be alleviated by talking to your partners or someone in your life who understands and can relate and who you trust. Q: What makes a potential job attractive? A: Geographic area, lifestyle, support for research development, and supportive colleagues, among many factors. Your future partners are so important because they are your community. Work partners are so important. Having senior partners who can provide their opinion and support is invaluable. This partnership prevents you from feeling isolated. Q: What’s your best advice for a current surgical trainee preparing for the next step? A: As a resident, you see what your leaders (mentors) model. Take the good things and try to leave behind the less helpful behaviors. As a faculty member, you think through cases days in advance and plan ahead. You consider how all the parts have to work together smoothly to produce a good outcome. Be prepared. Start asking for things you want in advance (for example, specific suture, materials, intraoperative imaging/equipment). Most residents are already doing the preparation ahead of cases that lead to better performance in the OR. Even when you’re still in training, ask your attending in advance about patient positioning, suture choice, ports. We start that now. The practice of preparing in advance can start now, while you’re still in training. Q: How do you achieve your best work-life integration? A: One of the most important things is to have a good balance. You have to have a good and supportive partner in your personal life, too. You can’t settle for anything less than that. As a surgeon, your job is so important. One of my mentors told me “Being a surgeon is one of the most altruistic professions you can choose”. At the end of fellowship, I was advised to “preserve” myself. Take time for family and self-care. Q: How do you let things go? A: People are people. It’s so easy for us to treat our co-worker or patient as objects. It makes our jobs easier. I was fortunate enough to assist Dr. Hoang during her first surgery at our institution. Not only was it a great case, but it laid the groundwork for all of our interactions since then. Things I noted during that first operation were her confidence and poise, the ability to ask for what she needed, her respect for her nursing colleagues, and her patience with my developing laparoscopic surgical skill. In the end, it’s impossible to envision exactly what a future surgical career might hold. But my suggestion would be to observe your mentors: figure out which words and actions you would like to carry forward with you in your career, and which you might modify or leave behind altogether. Dr. Sook Hoang is a colorectal surgeon and Assistant Professor of Surgery at the University of Virginia. She completed her medical education at Pennsylvania State University and then her general surgery residency at the University of Massachusetts. 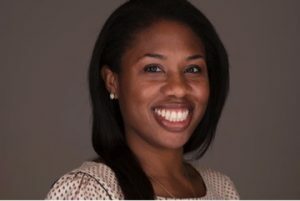 She completed a fellowship in colon and rectal surgery at Brown University prior to her appointment at the University of Virginia in October 2017.